The Royal Livingstone, a 5 star property within Sun International’s SUNLUX Collection – has been recognized as Zambia’s Leading Hotel in the World Travel Awards for the eighth time. The Royal Livingstone stretches along the banks of the Zambezi River, just a short walk from its own entrance to The Victoria Falls. Travelers can enjoy elephant safaris, walking with cheetahs, Big 5 safaris, helicopter rides over the Victoria Falls and stunning spa treatments in gazebos on the river’s edge. “To be declared Zambia’s Leading Hotel once again, by travel and tourism professionals worldwide, is an accolade for my team and we are truly proud and delighted to have been recognized for The Royal Livingstone’s commitment to excellence,” said Joanne Selby, General Manager of Sun International Zambia. 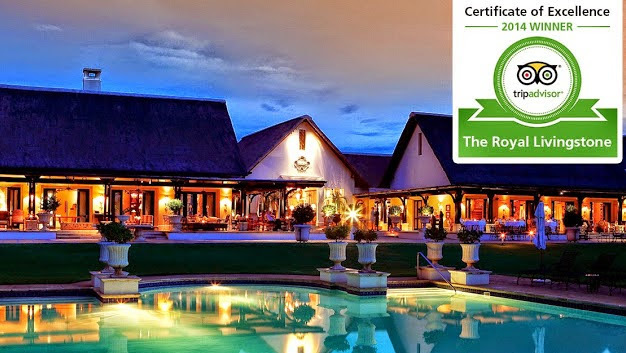 Earlier this year, The Royal Livingstone was recognized as one of the top lodges and resorts in Africa and the Middle East at the Travel + Leisure 2014 World’s Best Awards, and also received Trip Advisor’s Certificate of Excellence.